Comments A marvellous specimen of one of God’s beautiful creations! 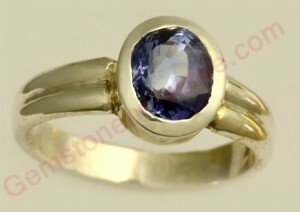 Mined from the famed Muzo mines of Columbia, it is breathtakingly beautiful. The Cut and clarity of the Gem are so near perfect that it needs to be seen to believed. Fully natural and 100% un-enhanced and untreated Emerald! With a scintillation and lustre that is so amazing that it stops you in your tracks! Beautiful rich and intense spring green color makes it immensely pleasing to the eye and the senses. 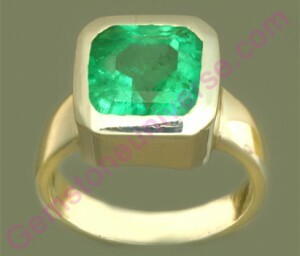 And in this understated silver ring, it is as fertile in Mercury energies as the colour Green – which signifies fertility! 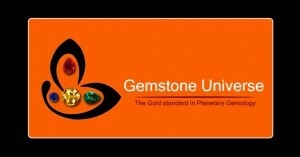 Comments Cat’s Eye the powerhouse of Ketu / South node energies, the gem that powerful people around the world in their vault. 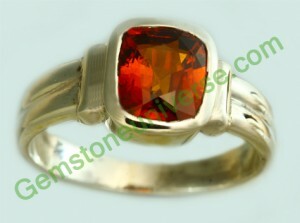 It is a gemstone of adventure and unexpected good results. Surely this fine Quartz Cats Eye will deliver the best results, set in this delightful silver pendant. 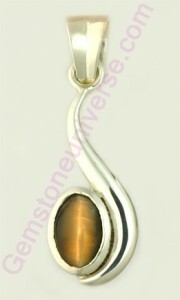 Cat’s eye the gem to gain the best of Ketu / South node energies! 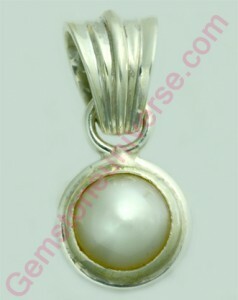 Comments Gorgeous pure white Natural pearl, whole Nacre with a White overtone with a silky mirror finish. 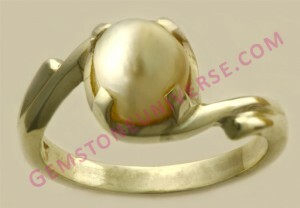 Set in this sterling silver ring the Natural Pearl looks like Artemis, the Greek goddess of the Moon. A calm and serene ring filled with the Moon’s bounties! 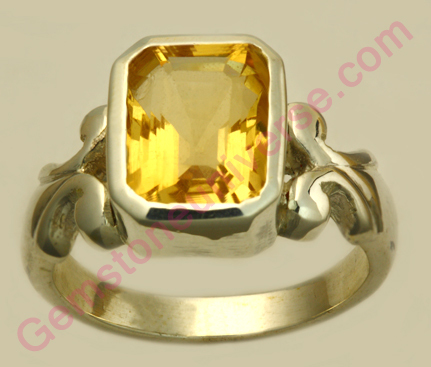 Lovely Ceylon Butter Yellow colour Natural and untreated Yellow Sapphire from Ceylon / Sri Lanka set in an eye catching Gold ring. Yellow Sapphire/Pukhraj-The gemstone of Jupiter/Brihaspati-The planet of Good luck, wealth and divine knowledge. 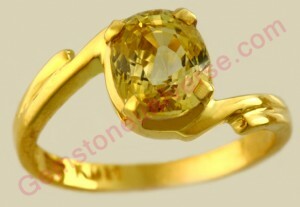 Comments Perfect and the most sought after color in a Sri Lankan Yellow Sapphire. Lovely Ceylon Butter Yellow color! 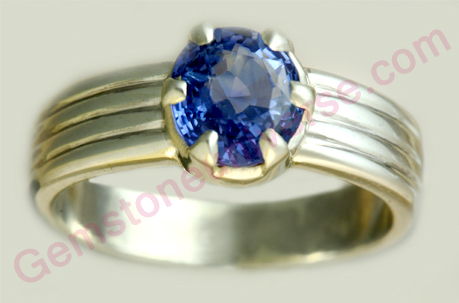 It is very difficult to get this shade in a unheated Sapphire. Certified Unheated and untreated Ceylon Yellow Sapphire with good proportion and symmetry! Sattvik Guru Energies, this Ceylon Yellow Sapphire is a blessing! Amazing Lustre, clarity and a very special gemstone. Set in this eye catching gold ring it is a joy to look at! Comments Think Natural Pearl and the singular word that springs to the mind is Basra those fine rare beauties of nature that are so rare and precious in today’s world that it lands up in the hands of the most fortunate few of the universe. 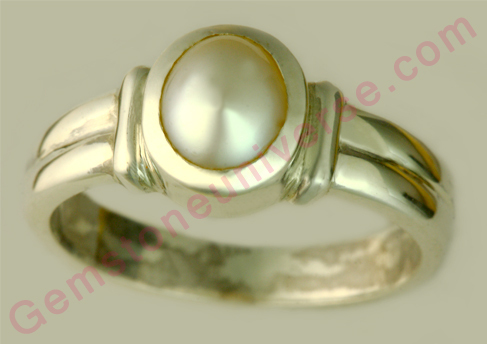 Well this beautiful fully natural undrilled Pearl is so versatile that it comes closest in appearance to a Basra Pearl even though it is from the Australian Sea. Nice and lovely, calm and serene all beatific moon qualities are exhibited by this noble gemstone. The serenity just seeps through this exquisite sterling silver ring!